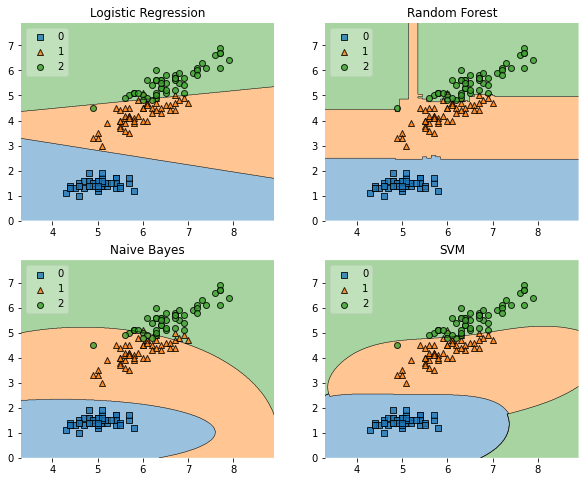 A function for plotting decision regions of classifiers in 1 or 2 dimensions. 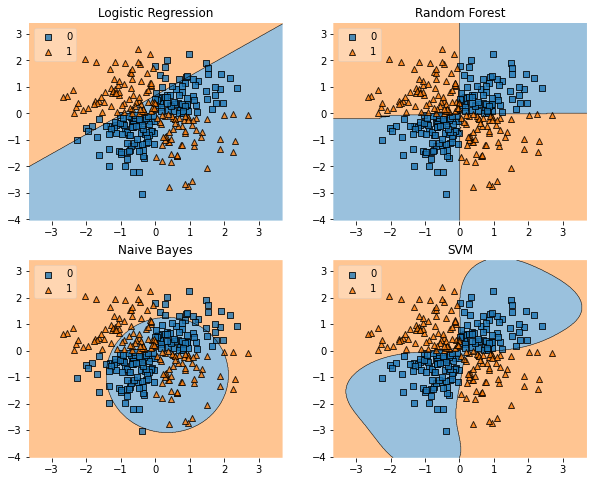 Plot decision regions of a classifier. Please note that this functions assumes that class labels are labeled consecutively, e.g,. 0, 1, 2, 3, 4, and 5. If you have class labels with integer labels > 4, you may want to provide additional colors and/or markers as colors and markers arguments. 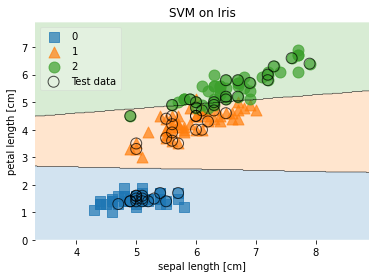 See http://matplotlib.org/examples/color/named_colors.html for more information. Must have a .predict method. Feature indices to use for plotting. The first index in feature_index will be on the x-axis, the second index will be on the y-axis. Only needed for number features > 2. 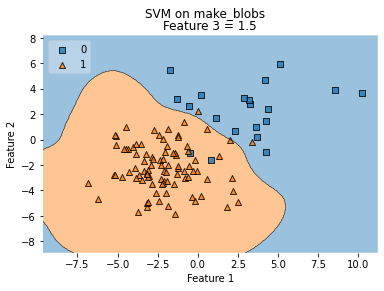 Dictionary of feature index-value pairs for the features not being plotted. Only needed for number features > 2. Dictionary of feature index-value pairs for the features not being plotted. Will use the ranges provided to select training samples for plotting. An existing matplotlib Axes. Creates one if ax=None. 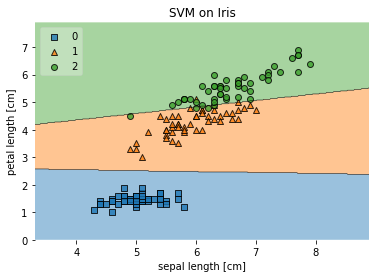 An array with data points that are used to highlight samples in X. This parameter was used to define the grid width, but it has been deprecated in favor of determining the number of points given the figure DPI and size automatically for optimal results and computational efficiency. 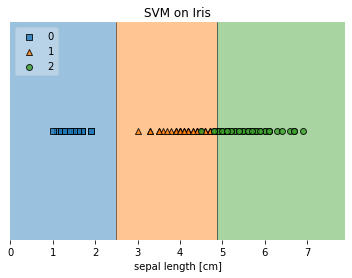 To increase the resolution, it's is recommended to use to provide a dpi argument via matplotlib, e.g.,plt.figure(dpi=600)`. Hide axis spines if True. Integer to specify the legend location. No legend if legend is 0. Comma separated list of colors. 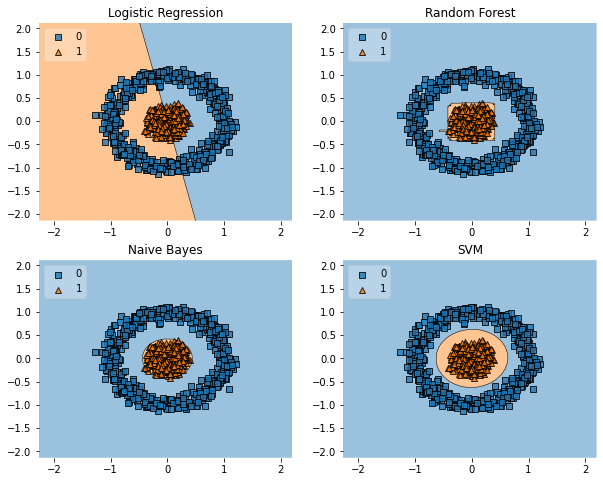 Keyword arguments for underlying matplotlib scatter function. 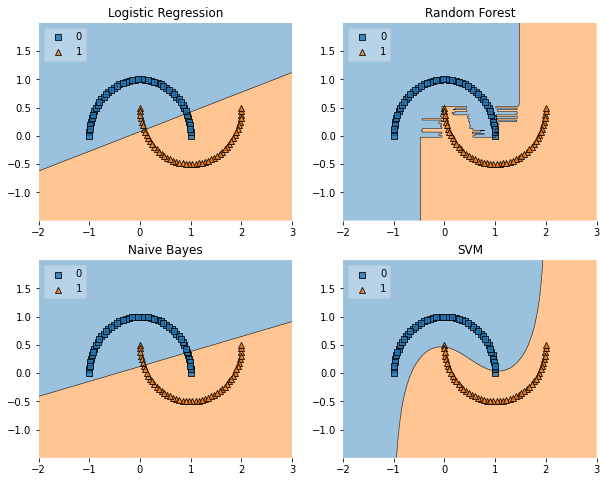 Keyword arguments for underlying matplotlib contourf function.